What do Keyboard F1 to F12 Function Keys do? Most of us work with Windows or MAC. 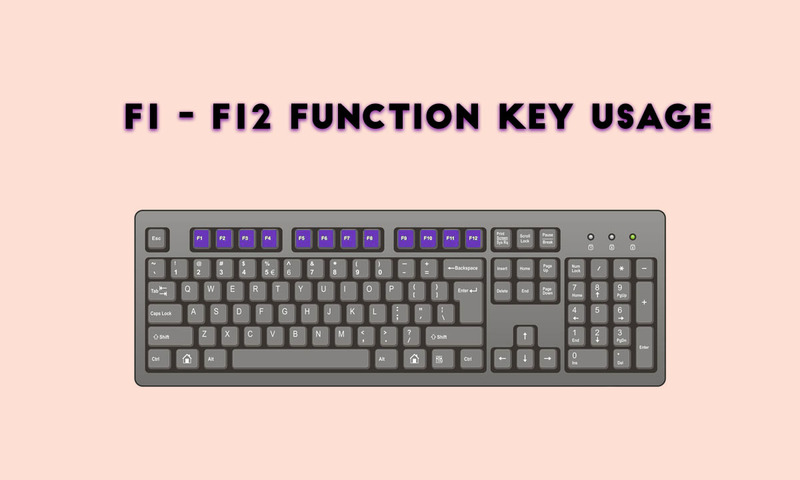 But many wonder what are the uses and features of the Functions keys F1 to F12. In this article, we will look into the function keys features and its uses. F1 key is used for “Help.” If you are a Windows OS user and want the help of the particular program then press the F1 key, it will open up help window for you. In few cases, the F1 key is used to enter the BIOS mode. Press F1 when your computer is about to boot then your system opens into BIOS mode. 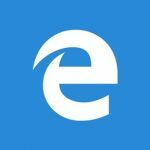 Pressing the Win + F1 keys both together will open Help and Support Microsoft in Windows. F2 is used to rename the selected file or folder(shortcut to rename file or folder). F2 works in all versions of Windows. Alt + Ctrl + F2, Opens the Document as a Microsoft Word. Ctrl + F2, Opens the Preview window in Microsoft Word. In the MS-DOS charge line or Windows, press F3 to rehash the last summons. Win + F3, Advanced Search window opens in Microsoft Outlook. Shift + F3, Changes the content in Microsoft Word, from upper to lower case or capital letters at the start of each one expression. If I am not mixed up, it is the F3 key which will cause the Application«Control» computers Apple, running Mac OS X. Opens the location bar when you press F4 in Windows Explorer and Internet Explorer. Alt + F4, Closes the system window in Windows. F5 Refreshes the page or desktop. F5 helps running a slide to demonstrate in PowerPoint. F6 moves the cursor in the location bar. F7 is commonly used to check the spelling and grammar in any document programs of Microsoft like Word, Outlook and few other. F8 key makes your PC to enter safe mode while PC is about to boot. The F9 key mostly does not have any functionality in Windows. This key can be used in few programs like AutoCAD. F10 key activates Menu in the open organizer window. Shift + F10, works same as the right mouse click. When your system is booting, and you press F10, it will show you BIOS Information. F10 is also used to enter the hidden recovery partition on few computers. F11 Key helps you to enter Full-screen mode in few programs and software, and it can be utilized and work in any Browser. The F12 key opens the “Save As” in Microsoft Word. Shift + F12, Saves a document in Microsoft Word. Ctrl + Shift + F12, Prints a document in Microsoft Word. The F12 key helps to open the inspect element box in Browsers. How I can the use of F1 to f2?